NSI offers complete HD pan-tilt-zoom camera system solutions for a wide variety of specialized point of view (POV) applications, such as traffic and weather monitoring, sports stadiums, houses of worship, legislative chambers, sports arenas and high-resolution security installations. The systems feature Canon XU-81, XU-81W and BU-47 HD PTZ camera systems, NSI remote control interface units with power supplies and the user friendly NSI PC based remote control. 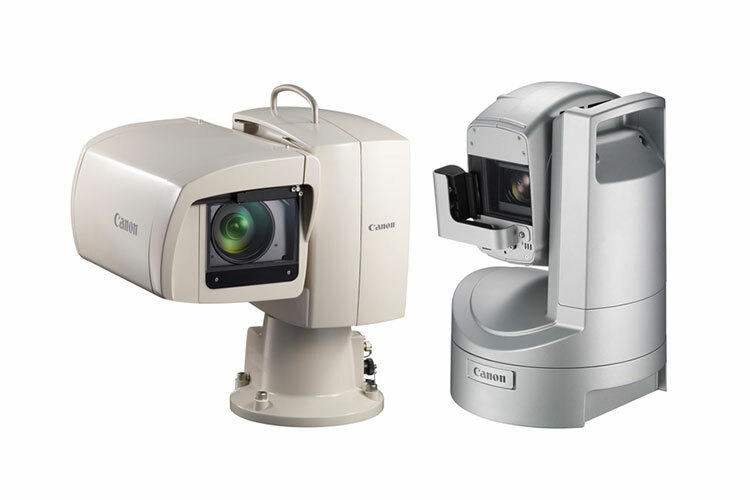 NSI offers two PC based solutions for the complete control and monitoring of the Canon HD PTZ camera systems. The NSI MC5 is a highly versatile remote control system that provides control for a wide variety of equipment, including remote cameras, central receive systems, switchers and remote transmit systems. NSI's MC Pro PTZ remote control software is for applications that do not require the control of equipment other than the remote cameras. The NSI remote control GUI features straight forward control buttons and meters, providing intuitively easy operation and a short learning curve. It provides complete control of the Canon HD PTZ camera systems, including the pan/tilt, lens and camera settings. It also includes several advanced automatic functions, such as the Preset, Tour and Scene functions to enhance the operation of the remote camera system. In addition to the control of the camera system via the on-screen virtual joystick, a desktop joystick is available for proportional trim control of the pan, tilt, zoom and focus. The desktop joystick also includes user-defined buttons for the control of the other camera function or the execution of presets. Alternatively, the camera system can be controlled by a PC game controller. NSI offers a family remote control interface units that include power supplies for the cameras as well as the interface for the remote control. Alternative configurations allow the camera to be located up to 2,000-feet from the rack mounted power supply as well as remote control via IP or via RS-232 for remote control via modems.